Bryston BDA-1 DAC review | What Hi-Fi? 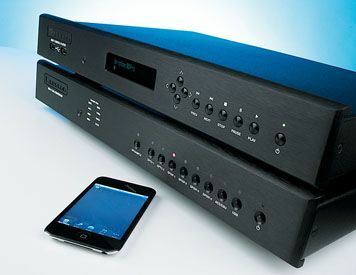 The natural partner for the BDP-1 digital client is Bryston’s well-regarded BDA-1 DAC. We’re great fans of this product due it its well-thought-out connectivity (eight inputs including USB, AES/EBU and S/PDIF in optical, RCA and BNC forms) and its even-handed sound. Despite the emergence of newer rivals, such as Naim’s (imaginatively titled) DAC, which beat it in terms of outright dynamics and timing precision, the BDA-1 still remains a talented and commendable proposition. Whatever you use, though, as long as the number cruncher has either an electrical S/PDIF connection – the BDP-1 uses a BNC socket rather than the more common RCA – or an AES/EBU, all will be fine. Many hi-fi buffs still look down on computer audio. It’s an easy attitude to understand if all they’ve sampled is low bitrate MP3s played on low-priced mass-market kit. However, start using good-quality files – Apple Lossless is a minimum, with uncompressed formats such as WAV the ideal – with decent equipment and you can get proper hi-fi. One of the BDP-1’s aces is the ability to replay files up to 24-bit/192kHz. These high-resolution files lift the sound of the BDA-1 DAC well above any CD player we’ve heard when it comes to outright detail, subtlety and fluidity. Listen to a 24-bit/192kHz recording such as The Scottish Chamber Orchestra’s rendition of Beethoven’s Piano Concerto No.3 in C Minor, Op.37 and the sense of space is astonishing. Not just the space that defines the venue, but that between instruments, too. And despite all the insight, there’s no loss of cohesion. There’s also a spellbinding finesse here, a lightness of touch, that once heard is hard to do without. It’s to the fore in the complex decay of piano notes and the skill with which stringed instruments are delivered. Dynamics are a treat, too. They’re wonderfully free-flowing and build in an almost unstoppable manner when the music demands. Higher resolution material, be it 24-bit in 88.2, 96, 176.4 or 192kHz, is limited at the moment, both in terms of quantity and mass-market appeal. So, for now, the bulk of material played on these Brystons is likely to be no better than 16bit/44.1kHz WAV files from CDs. Switching to a WAV version of Kanye West’s Monster is a bit disappointing. It’s not just the resolution drop, either: the sound is clear and informative, but the subtle lack of rhythmic drive becomes more apparent with music such as this. We have no issues as far as tonal balance, sonic stability or insight are concerned, though. These Bryston's prove that there’s life beyond CD. And if the choice of high-res content grows to include mass-market offerings, it’s a future we’ll relish.